We’ve teamed up with intelligent textile machinery specialist, Polymaster, to provide a solution to a perennial problem of the fabric industry – accurate length cutting. Cutting bench machinery didn't exist until Managing Director, Paul Callaghan, founded Polymaster 20 years ago to meet an industry need. Since then, the company has gone on to supply machinery to textiles companies all over the world. Partnering with us, Paul has now realised the possibilities of linking intelligent IT to the hardware. 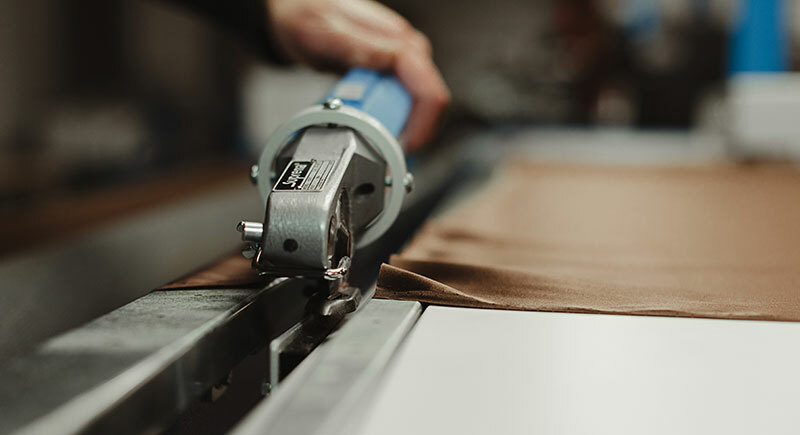 The orders now come to the cutting bench through Mertex and the machines then take care of the cut length aspect, so the operator can concentrate on the one thing machines can't do – checking the quality of the cloth in front of them. If you take all the overcuts into account, it can add up to a lot of waste fabric and a significant impact on profits. The cutting bench integration with Mertex means better and easier management of the flow of information so it's not open to human error. The Mertex cutting bench interface has been designed for touch screen operation. The user simply has to touch the next order to be processed, scan the barcode on the piece and the cutting bench takes care of the rest. The cutter can then concentrate on inspecting the fabric and capturing any faults. “Mertex is such an industry standard, so the integration provides an immediate benefit to our customers,” said Paul. Have any questions about this accurate length cutting solution? Please email stuart.beet@reflexdata.com.